The 54-year-old patient, Jessie Guillory, was attacking another nurse in the hospital’s behavioral health unit this month when 56-year-old nurse Lynne Truxillo intervened. Guillory then allegedly turned to attack Truxillo, causing her to injure her right leg and strike her head on a desk. According to a 2014 study in the Journal of Emergency Nursing, three in four nurses experienced verbal or physical abuse from patients and visitors. As a result, nurse leaders are grappling with the issue of how to protect staff against workplace violence. The bill would mandate that OSHA establish a national standard requiring healthcare and social service employers to create and implement a comprehensive workplace violence prevention plan. Are the Days of Needle-Free Blood Draws Close? The Houston-based group International Safety Center in July 2017 released surveillance data from hospitals in 2015 that showed a marked increase in injuries from sharps and needlesticks sustained by training physicians (i.e., residents and interns) compared to 2014, and an overall increase in injuries sustained in the operating room. The Joint Commission has released Sentinel Event Alert 59, which addresses violence—physical and verbal—against healthcare workers. 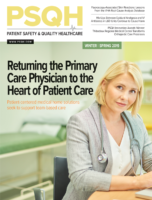 Patient Safety Monitor Journal spoke with Victoria Fennel, of Compass Clinical Consulting, about the alert and healthcare’s culture of violence. The purpose of the new alert is to help hospitals and other healthcare organizations better recognize workplace violence directed by patients and visitors toward healthcare workers and better prepare healthcare staff to address workplace violence, both in real time and afterward.